Using the new Gmail Interface sometimes we have to be carful what toolbar icon are we clicking. To be sure, personally I hold over the mouse for the pop up text before I click any actions. 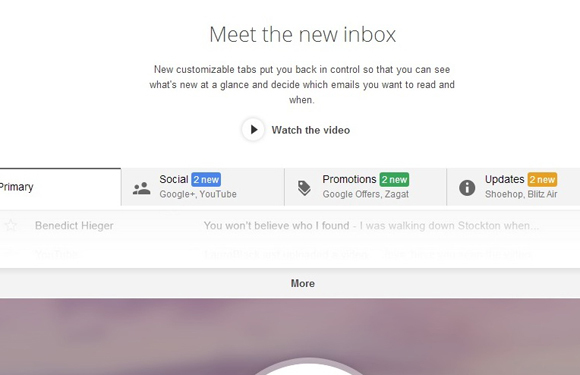 If you don’t like this new way of Interface, browsing Gmail settings you will be able to switch from Icons to Text. 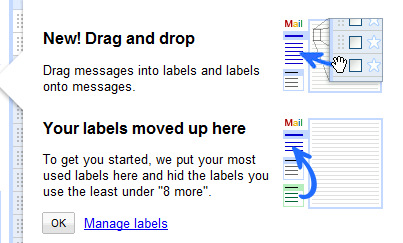 If you use the Google Mail, probably you have notice the new Feature Priority Inbox. By clicking on the "+" or "–" button you can add or remove "Priority" to your emails and next time that you receive a new mail from those account, this email will be on the top and highlighted. Gmail can identify also by automatic the email that’s important to you by scanning keywords that appears frequently. You’ll notice your labels in a new location on the left of your inbox (or on the right, for those of you using the Arabic, Hebrew, or Urdu versions of Gmail). Instead of having their own section, your labels are now above your chat list, grouped together with Inbox, Drafts, Chats and other system labels. Gmail now migrates email and contacts from other email providers, including Yahoo!, Hotmail, AOL, and other providers. It’s much easier to make the transition now that you can bring along all your old email and contacts. You can even have your messages forwarded from your old account for 30 days, giving you time to take Gmail for a test drive while you make up your mind. This new feature is available in all newly-created Gmail accounts, and it is slowly being rolled out to all existing accounts. It’ll take longer than the few hours or days that most Gmail features take to get out to everyone. Here is a good tool for Gmail users, GMail Backup. The latest release come back in October with the seventh pre-final release of the GMail Backup tool. This program is aimed to backup and restore of your GMail mailbox. You will need to activate the IMAP access to your mailbox, to do so, please open your GMail settings and under POP/IMAP tab activate this option. To the rich-formatting editor in Gmail is added another Icon. As you can see from the screenshot above that one can insert Emoticons in your letter, the new features in Gmail. If you don’t see that Icon, click on link rich formatting. There are two types of emoticons that you can select in the two faces at the last row. Anybody count the Gmail emoticons? There are 69 very geek number 😀 and 79 animated.